When Melt! Festival began 20 years ago, it provided a vision that was ahead of its time and laid the groundwork for today’s most beloved summer weekenders. Above all else, Melt! proved that large-scale, multi-day music events can be hugely popular without compromising on the bookings. Theirs have always provided a large range of stylistic offerings that spans from cutting-edge techno to savvy pop, but underground music remains the festival’s backbone. 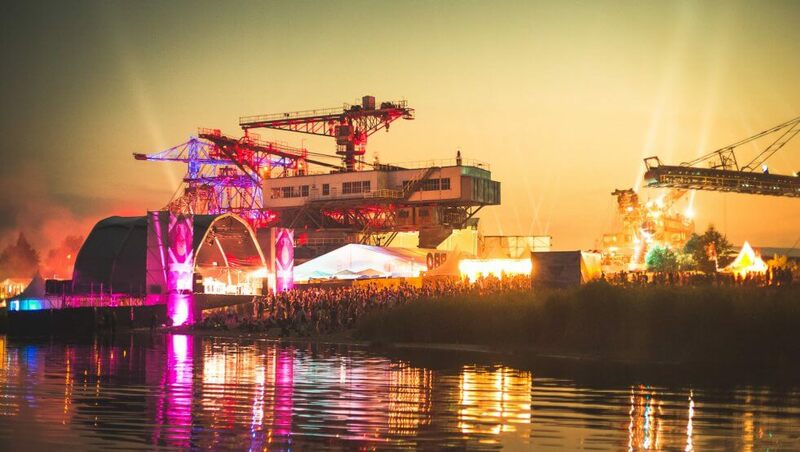 This year’s edition, which runs July 14-16, will showcase bigger acts like M.I.A., Sampha, Mø and Richie Hawtin as well as stars (both established and rising) from the club scene like FJAAK, Sonja Moonear, rRoxymore and Michael Mayer. With so many acts to choose from, we thought it might be helpful to provide a few recommendations as to which performances you just shouldn’t miss. As you could probably tell from our recent Clubnight (or should we say Clubday?) with Âme and Henrik Schwarz, we really like Innervisions. So we’re excited that this year’s Melt! includes some artists associated with the label. And we don’t just mean label boss Dixon—though we’re sure his set will be as amazing, as always. Two artists who’ve released on the imprint’s Secret Weapons series will also play: Stuttgart native Konstantin Sibold—whose name and music you may recognize from Fort Romeau’s recent Played Out column—and Denis Horvat, whose “Momak” cut is a beautifully blurpy slice of delirious dance floor dissonance. From his early days in Texas to his current status as one of the biggest DJs on the Ibizan circuit, Maceo Plex has always brought the heat. His tech-y sets and low-slung productions seem calibrated for big rooms and large sound systems. We’ve been fans since he first made his mark on Crosstown Rebels, but we’ve been loving his recent summer anthem “5th Dimensional Groove“, which he made in collaboration with tech-house legends Swayzak. Catch up with him via our recent EB.tv feature that explored the deep end of his record bag. When it comes to slamming, ’90s-influenced house music, few DJs do it like Bicep. The Northern Irish duo’s sets are euphoric and crowd-pleasing in a way that’s similar to their best productions, like the New York-indebted “Vision Of Love” or their proggy new hit “Aura”. No matter what they’re spinning, these guys always bring the party to another level, which is why we’re excited for their Melt! set—and also why we chose them to headline a Telekom Electronic Beats Clubnight at Blitz! in Munich on September 20. Find more information for that event here. Melt! has much more to offer besides house and techno, like Austrian experimental electronic pop pair HVOB. Their recent album, Silk, was a beautiful deep-dive into sultry, synth-heavy melancholy. Their work has always been rooted in rich audiovisual experiences, and that’s why we just know their performance this weekend will be a multimedia spectacular to remember. To sample what might go down, watch footage of their recent live performance in Berlin on EB.tv. Montreal native Marie Davidson has been the recipient of many international accolades in the last year in response to her LP, Adieux Au Dancefloor, which appeared on Veronica Vasicka’s Cititrax label in 2016. Since then, she’s toured extensively and performed her one-woman show for audiences of many thousands. Davidson’s sound is wrought with twisted romanticism: she sings in French and English and layers moody soundscapes crafted with a slew of hardware over seductive, minimal wave-tinged synth grooves. Her sets reside somewhere at the intersection of dance music and cinematic soundscapes, and her graceful command of her machinery and powerful stage presence make her one live act that definitely shouldn’t be missed. We’ve had our eye on this rising Danish selector and Ectotherm label boss since she penned a guide to the techno scene in her hometown, Copenhagen, in 2015. Since then she’s contributed several more compelling articles to Electronic Beats, including a guide to Danish record labels and a mammoth report on the effectiveness of all-female lineups as a tactic to combat systemic sexism in electronic music. Aside from her work as a journalist, Courtesy has gained renown for her skills as a DJ who blends distinctly modern electro, breaks and techno in a sleek and emotive tapestry. If you’re interested in experiencing one of the underground’s rising talents, look no further than and don’t miss out on Courtesy. The buzz around Italian producer Lorenzo Senni started a few years ago, when his first release for Boomkat Editions Superimpositions pushed his career to new levels. Propelled also by his involvement with the ICAS festival network-affiliated artist incubator SHAPE, Senni and his interesting installations to do with rave and EDM soon became a must-see act at experimental-minded gatherings in Europe like CTM and Unsound. His music, which we interviewed him about a few years ago, brought a new perspective on trance into the purview of avant-garde music experts. He has since been scooped up by electronic music institution Warp, which undoubtedly bodes well for his future endeavors. Anyone interested in Berlin-style house music should familiarize themselves with Cinthie, a longtime producer and DJ on the local circuit. These days she holds down a residency at one of the city’s biggest clubs, Watergate, and co-runs the Beste Modus record label with EB Radio contributor Diego Krause. She crafted her own set for our mix series, which you can listen to above. It’s a good overview of what you can expect from her at Melt! : elastic, good-vibes house music with a tasteful tech-y influence that remains rooted in classic American tropes. Israeli natives Dori Sadovnik and Niv Arzi are known entities in the underground dance music scene: they’ve released a prolific number of singles and EPs since 2009 (and around 20 since 2011 alone) and have toured extensively on the international circuit at the world’s most respected clubs. The duo are known for their unique blend of post-punk-infused disco, and as DJs they crank funky edits of classic tracks as well as original cuts full of jazzy electric guitar swells. Their penchant for crafting sets that sit firmly outside of known genres make them super dynamic and endlessly danceable. If you don’t know much about Belgrade’s electronic music scene, let Tijana T be your introduction. She has always been devoted to dance music, first as a TV presenter and then as a DJ in her Serbian hometown. Now, she’s a prominent figure in Belgrade’s music and club life and has begun cultivating a strong international reputation for her banging techno sets. Even though her taste is broad—she sometimes plays house and disco at Belgrade’s legendary 20/44 club—she’s mostly known for her ravey, exhilarating warehouse techno inspired by Serbia’s dark, intense club scene. We know that she’ll bring the heat at Melt!. You can read more about her sound and the scene in Serbia in a feature she contributed to Electronic Beats in 2015. The techno outfit FJAAK are hardware heads who have been making uncompromising peak-time tracks since 2015. In their feature with EB.tv, the trio explain that they make music in seclusion from the city’s house and techno scene. Still, their records do sound like a product of the German capital’s environment: they’re laced with sophisticated arrangements and dark, atmospheric textures commonly heard around 4 AM on Berlin’s darkest dance floors. What sets them apart, however, is their penchant for breakbeat-ridden and UK-referencing rhythms, which pair well over the clanging chords typical of the German techno sound. You can get a sense for what they’ll bring to their set by listening to their debut LP, which emerged on Modeselektor‘s Monkeytown Records this past January. The album follows a string of successful singles and EPs that FJAAK released on the seminal and now-defunct label 50Weapons, and they’re sure to play some of its best tracks at Melt! in addition to some of their deeper live cuts. Cover photo of Melt! 2014 by Florian Schüppel.